A Supreme Court bench led by Chief Justice JS Khehar has sought the response of the Centre on the fate of Article 370 of the Constitution that grants special status to the state of Jammu and Kashmir. 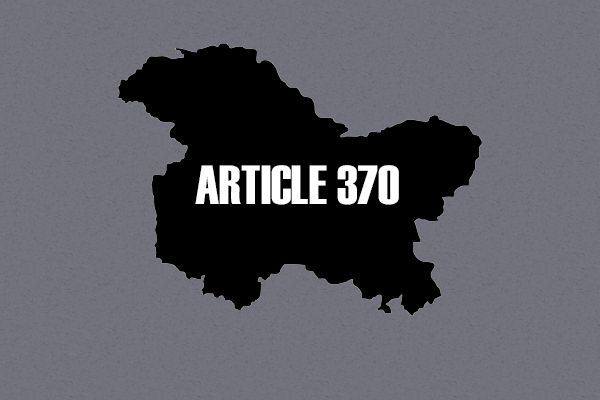 It is being debated whether Article 370 should be revoked citing that it was a temporary provision that no longer holds validation. Kumari Vijayalakshmi Jha had contended in the high court that Article 370 was a temporary provision that had lapsed with the dissolution of the state’s Constituent Assembly in 1957. The petition had said that the continuance of Article 370 even after the dissolution of the state’s Constituent Assembly and the J-K Constitution never getting the assent of the President of India or Parliament or Government of India, amounted to “fraud on the basic structure of our Constitution”. Advocate Anil Kumar Jha, appearing for the petitioner, claimed that the high court considered only the first prayer and had not taken into account other prayers mentioned in the plea. The petition challenged the April 11 order of the Delhi High Court rejecting a plea saying nothing survives in it as the apex court has already dismissed a similar prayer on the issue. A bench comprising Chief Justice J S Khehar and justices Adarsh Goel and D Y Chandrachud issued notice to the Centre on the petition which also sought a direction to declare the Constitution of Jammu and Kashmir as “void”, “illegal” and “ultravires” of the Constitution of India. The bench asked the government to reply within four weeks. In her petition, Kumari Vijayalakshmi Jha claimed that the high court had dismissed her plea by “wrongly following and misreading” the earlier judgement of the apex court.